What’s up pussycat? 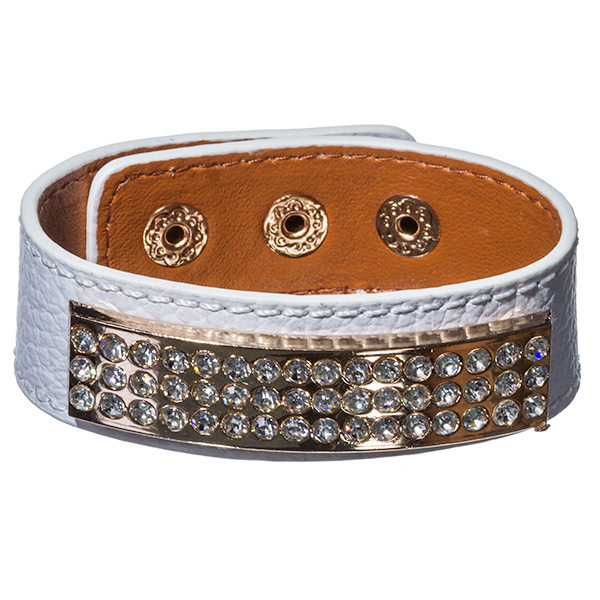 The Scarlett is a divine thin cuff of white leather embellished by a metal plate encrusted with rows of dazzling rhinestones. A piece for the diva in you. Buy this gorgeous piece of costume jewellery online today and get fast delivery within days.